RUN AS FAST AS YOU CAN AND DIVE INTO OUR 40FT. DUAL SLIP AND SLIDE. 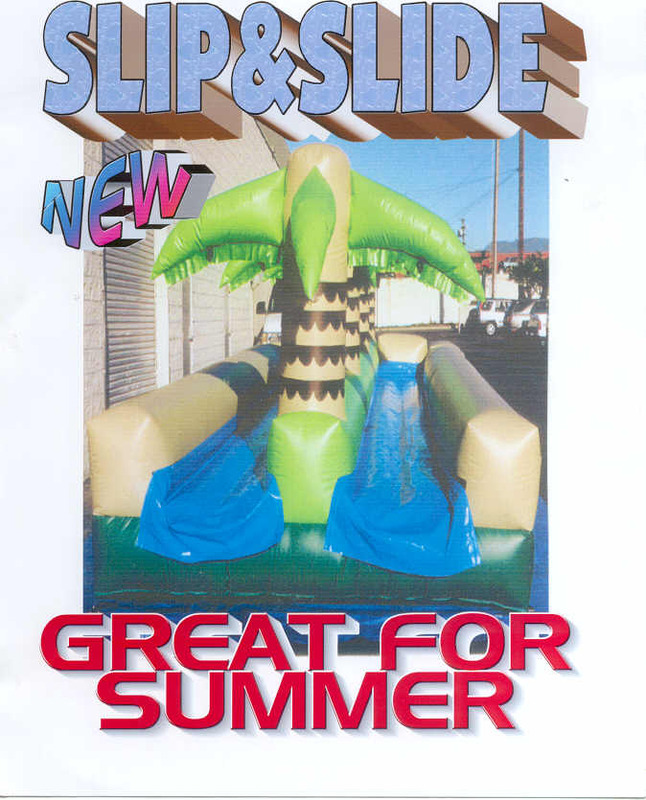 WITH IT'S GREAT TROPICAL THEME, THIS WATER INFLATABLE IS GREAT FOR THOSE SUMMER MONTHS.